Every day, new markets and new business opportunities are discovered and created across the world. Most of them don’t go anywhere, but some do. It is not every day that a market-changing, even world-changing, new market is looking at us right into the eye: batteries and electric vehicles. Electric vehicles – cars, bicycles, buses, scooters, trucks, vans, motorcycles – have been in the news for many years. E-cars have not crossed the chasm to the mass market yet (as electric bicycles have), but the auto industry is betting on the electric future. For instance, Volkswagen is ramping up production in anticipation for mass market I.D. models of compact cars and vans. Other automakers are doing the same. Bloomberg Businessweek has collected the data and estimations for the global battery market until 2030. The graph says it all: electric vehicles are going to change the way people all over the world move around. The demand for batteries starts growing rapidly in 2020-2022 which is exactly the timeframe when, for instance, VW has said it is ready for mass production of electric cars. It means millions of vehicles annually from VW alone. 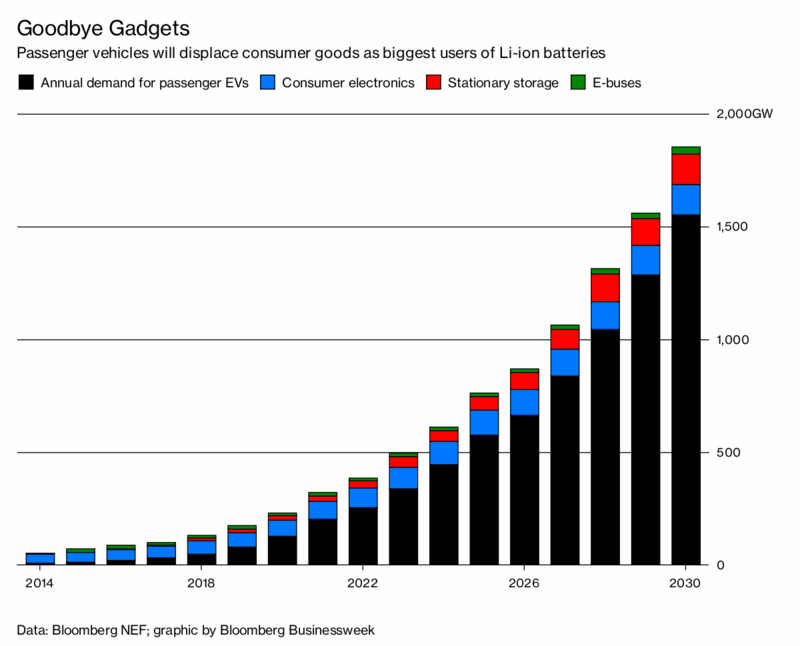 When other big car vendors are added into the estimates, the business of batteries (and electric vehicles) is simply exploding. 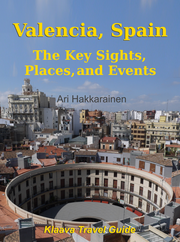 Travel User Guide covers electric vehicle news and tips, especially, for travelers. 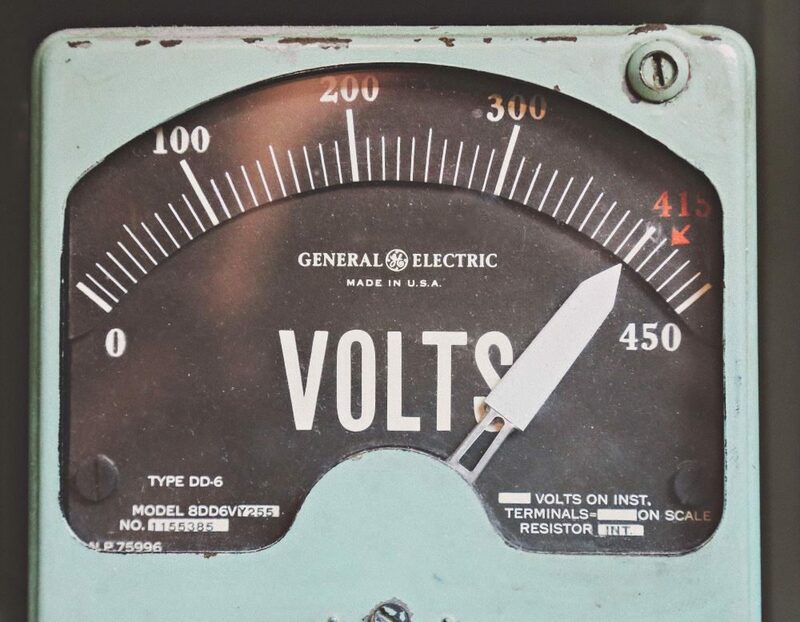 The volt meter photo by Thomas Kelley on Unsplash.